My Fitness Pal – Diet Tracker for the Self-Quantification Age Manners gone mobile: What has happened to good behaviour? Last week we talked about My Fitness Pal, the website dedicated to eating healthily, this week we delve a little deeper into the website and look at the MFP App. which I very recently stumbled upon. The app is available for all kinds of tablets and phones, and like the website, is completely free. Assuming it would be the same as the website I hadn’t even been near the apps section to look for an app, again, I was nudged gently in that direction and told to ‘get with it’ by a rather cheeky, yet well meaning (and as it turned out wise) friend. I soon realised that this app was the most amazing thing and the missing link, simply down to the fact it had a barcode scanner. Now, instead of typing my foods in all I had to do was click and scan my barcode and a portion of said product would automatically pop up in my meals. 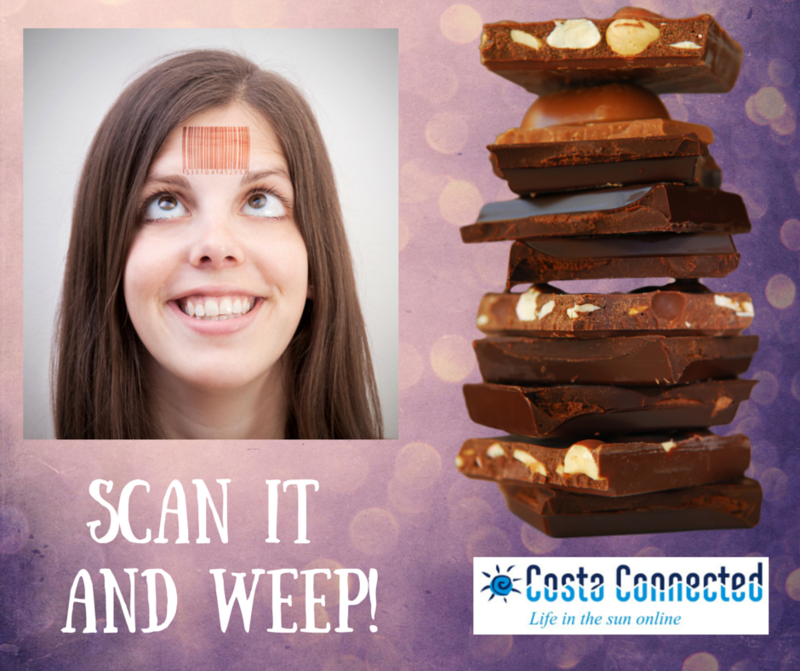 To say I was like a kid in a sweet shop is an understatement, I turned that scanner on everything I had in the cupboards, just to see if it would work… and it knows EVERYTHING! No longer did I have to search my foods, or guess at portion sizes, I didn’t even have rely on the information being correctly entered as with the member entries as every single detail required is in that barcode. My weight started to drop off far more rapidly simply because with the scanner it was more accurate, and I have since made sure everyone I know that uses MFP also knows about and can benefit from the app. Having realised there were more things I hadn’t yet explored I looked around the website again. Undiscovered in the Community section were the group pages, offering guidance and support on anything you can imagine related to diets and exercise. There are groups for different age groups, different sexes, people who have had gastric surgery, people maintaining their weight, recipes and more.. Also within the community pages is the blogging section, where you can chart your progress, share tips and ideas or as in the case of a friend I met on MFP have a giggle about the strange things we do when dieting! If you have never kept a blog it works in the same way as keeping a diary, date by date users choose to blog about their experiences, or use it as a cathartic tool to let out those feelings. After checking out the groups and blogs I felt the need to investigate some of the tips they gave for logging exercise. The ‘add exercise’ button had been deliberately ignored from the start. I simply have never bothered with exercise so didn’t feel the need to record anything. Again it would seem I am wrong, looking through their database of exercises I saw that simply walking to the shops can be logged, there were my favourite Wii games and also some for doing the housework! I had also learned that calories you burn during exercise can be ‘eaten back’ during the day, as MFP will calculate this all for you and give you a net figure. Suddenly exercise became interesting. In the apps areas of the website you can add ‘tickers’ (a visual countdown of your progress) and badges that show off your weight loss so far, or you can print off a chart if you prefer. There are also many other apps you can add to make your diet and fitness experiences merge further. These include the tracking type apps, which directly connect your device to MFP for automatic updates. There are many kind of devices, including electronic mapping devices, that follow your jogging route, pedometers to count steps, activity and step trackers and heart rate monitors to mention just a handful. With the right device you can even connect your kitchen scales so there is absolutely no way to cheat. You can also use their BMI and BMR calculators to make sure you are optimising your experience and accuracy. There is one thing vitally important I would like to mention again , the support of the online community itself, without which a website like MFP would simply cease to exist. If I hadn’t witnessed this support first hand, I couldn’t have even remotely envisioned the scale of it. Initially this comes from your close friends, who lets face it, were the ones that talked you into joining, ignored all your protests and got you started on your new venture. Once you join people soon start to add you as a friend both because you are in the same group, on the same message thread or sometimes completely at random. When you add people you will notice that half of your contacts are actually there already, some more active than others. As you make more friends and become more active, you will get support from the MFP community itself, helping you with setting up, giving you the best diet and exercise tips, sharing their favourite recipes and helping you out with your diary. These people leave you messages of support on your page, say well done when you lose some weight and pick you up when you have a bad week. They don’t pretend to know it all, or pretend that is easy. They have the worst pictures ever on their profiles, ones you would normally hide, but these people are proud of their achievements and want to share their success stories to motivate you into making yours. They soon become part of your everyday life, your circle of friends using social media widens dramatically and you get to know a lot of people. One day you know enough to pass on what you have learned, suddenly you are the one recommending it to your friends and talking through diets and exercise. It’s then you realise you have became a success story too and you won’t be able to contain that feeling of accomplishment, or hide the smile of satisfaction that permanently resides on your considerably slimmer face. This is why there is a great camaraderie and ‘pay it forward’ attitude on My Fitness Pal and that should be recognised, appreciated and applauded by all.